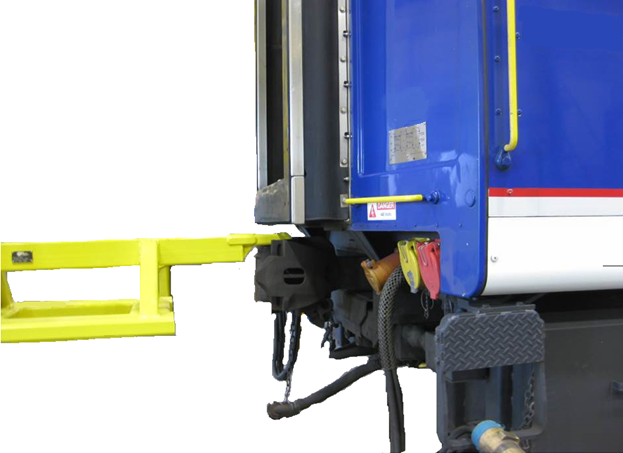 Use our new Coupler Handler with a forklift to handle couplers on locomotives or passenger cars with a step or platform located over the coupler. 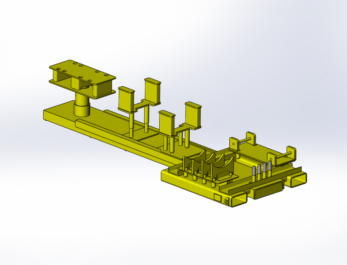 The handler design allows the coupler to be accessed without interfering with the step or platform. 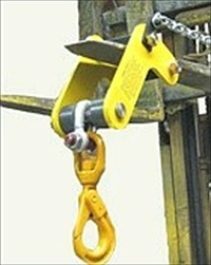 It may be used to access the coupler with the knuckle removed or in place. Includes an OSHA compliant identification tag. 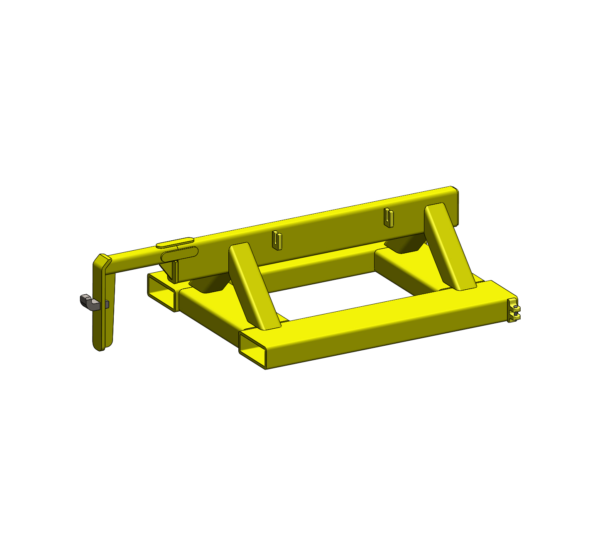 Same as our Hydraulic Side Access Wheelset Handling Fixture, only manually operated. 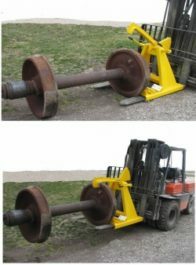 The fixture fits over the forklift tines with a safety chain that hooks over the forklift mast to keep the fixture in place during wheel handling. The Winks Multi Table is a double tine forklift attachment that is used for taking out and installing draft gear assemblies and EOC’s. The head on the front of the fixture has multiple sets of holes for different cradles to hold a draft gear assembly or an EOC. This head rotates to allow for easier positioning. Two sliding support arms slide which run on a track to hold the carrier plate during these removals or installations. One of these support arms has a square base so that it can be rotated 90 degrees to fit up into the sill. The support arms can be raised by adding extension pegs to their risers. Fits on 5” Wide Forks.